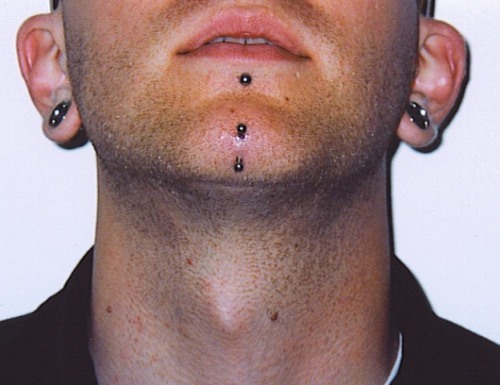 A unique style of facial piercing, chin piercing is the perforation of the chin area just below the bottom lip. 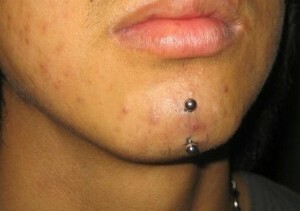 An interesting style of surface piercing, it looks cool and trendy when adorned with curved barbells. You can expect some pain while going through this procedure. 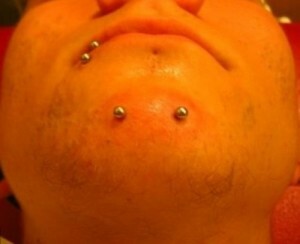 After the process, the pierced area might swell and become red, lasting for few days. 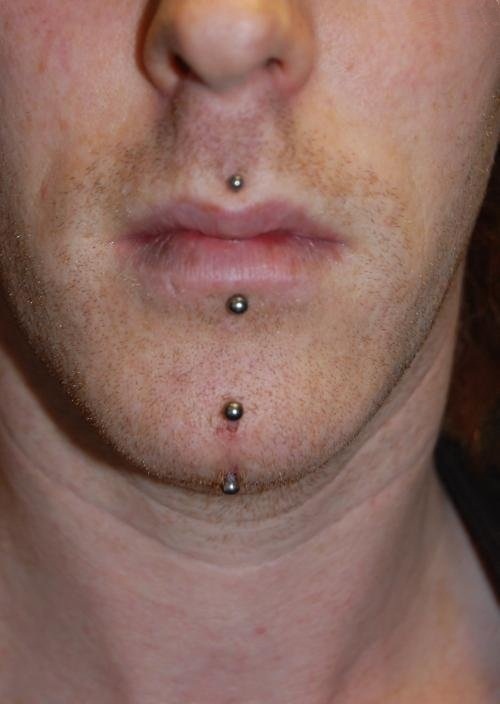 However, if the chin undergoes extreme swelling and redness, then it might indicate an infection. Applying warm salt soaks on the perforated region is necessary to reduce the chances of infection. Getting a chin piercing done from a reputable piercing salon is advisable. In some cases, the piercing might get rejected for several reasons, causing soreness, redness, and itching. 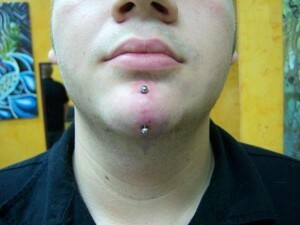 Make sure you immediately visit the parlor and get the jewelry removed to avoid further complications.